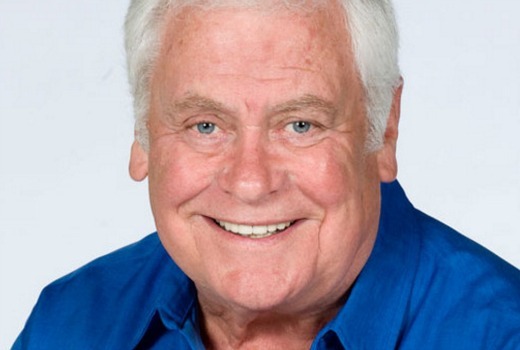 EXCLUSIVE: Veteran Neighbours actor Tom Oliver is exiting Ramsay Street, ending a 28 year run as the show’s longest-serving cast member, Lou Carpenter. Oliver joined Neighbours in 1988 for a six month stint but proved so popular fans petitioned for his return -a move that would see him remain for nearly three decades. His impressive TV soap run is only eclipsed by a matter of weeks by Home and Away‘s Ray Meagher. Over the years Lou Carpenter has enjoyed a lengthy friendship with Harold Bishop (Ian Smith), been the Erinsborough mayor, run businesses including a bar, mechanics and general store, enjoyed several romances and attempted a string of hare-brained get-rich-quick schemes. In 2009 Oliver’s role was scaled back to part-time, then subsequent occasional appearances from 2015. But there is some good news for diehard soap fans. While he is formally departing the cast, producers don’t rule out a future guest appearance. Oliver returns for a significant storyline joined by actress Tina Bursill on Friday November 4. Neighbours airs 6:30pm weeknights on ELEVEN. Ray Meagher is still a fair way ahead of Tom in terms of time of their shows though, as Ray has been consistently on H&A (with a few mini breaks) since 1988, whereas Tom did the guest stint in 1988 and didn’t return to the show until 1992. I figured we wouldn’t see much more of Lou once he was removed from the credits, but I will miss him, he’s such an iconic character and I loved watching him get into trouble on a weekly basis. Agreed, Ray leads the pack. It’ll be so sad to see Tom go, but he hasn’t been seen for ages! What a great character Lou has been. Goodbye Lou & all the best to Tom. Harold & Lou were always two of my favs and even until the late 2000’s were involved in significant storylines. I sortof assumed he had already left, well as a regular cast anyway. He hasn’t been part of the opening titles for ages, and he seems to just pop up every now and again. I always think it’s his last time when he goes, but something ends up bringing him back on screen. Tom Oliver and Tina Bursill were terrific as the bickering divorced couple, last time around. Looking forward to seeing them together again.